The overall Sunglass Straight-Entry Scan Hooks For Slots eyewear display is impressive. Just take time to look close at the Slotted Display Surface. Then look closer still to see that the Straight-Entry Scan Hooks both mount into as well as span Slot columns. The 2-piece Straight Entry Hooks allow easy merchandising and planogram arrangement of product. 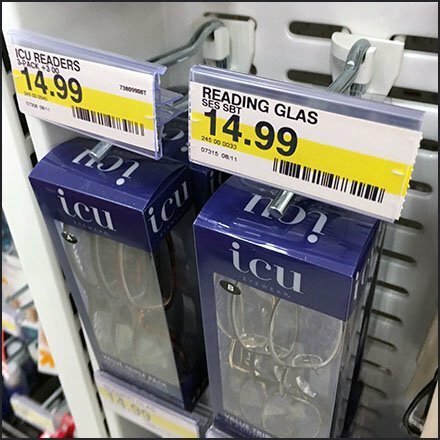 This Sunglass Straight-Entry Scan Hooks For Slots seen at Weis.